The theme Kia ora te reo Māori was chosen to celebrate New Zealand’s indigenous greeting, and also as the words ‘Kia Ora’ are an exact description of the intent of the new partnerships for te reo Māori revitalisation between the Crown and Māori under the new Māori Language Act 2016. In Schools and at Wainui School we do take steps to incorporate Tikanga Māori/ Protocol into our curriculum, a great place to start is with “Kia Ora”. Ag Day and Country Fair is coming!! – This is our biggest day for the community of the year!! If you are new to the community this is the one day to invite grandma and grandad and even have a day off from your usual routine/ work and make sure you come down to school. Tomorrow a booklet will be sent home to everyone outlining all the information. Our Ag Day and Country Fair has lots of the traditional elements, lambs, calves and goats being judged and some new additions, chickens being raised and judged, egg rearing, a market place, a cafe, games and fun activities for us all. The classrooms are now completing their arts and crafts exhibits. There is lots to participate in as a family, if you don’t have an animal – make an edible garden, or create a scarecrow. 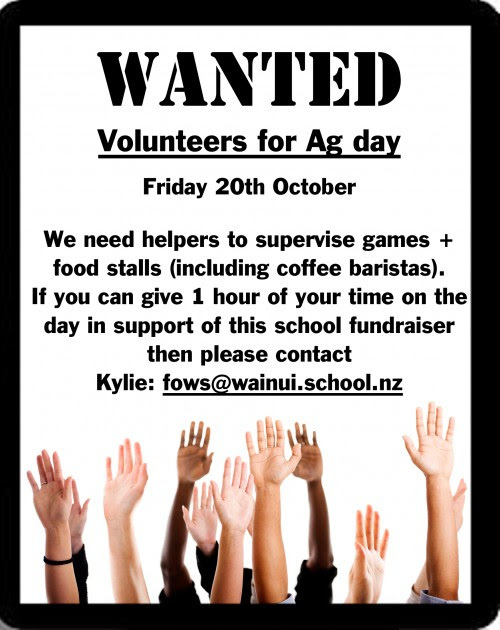 Our wonderful FOWS, (Friends of Wainui School) group need more help – so give an hour or two and help out on the day as well. FOWS (Friends of Wainui School) – met last week. This is an amazing proactive parent group fundraising and making this school an even better place to be. They meet once a month on the first Wednesday of the month. 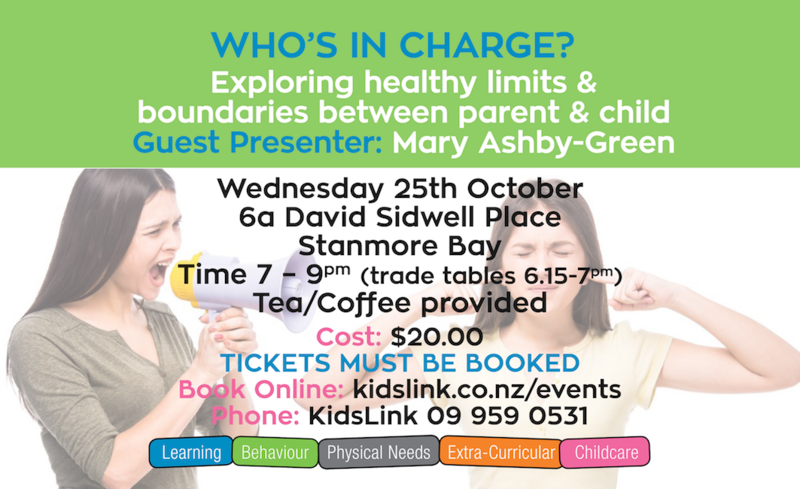 Come and meet new parents, or bring a friend. There is a saying “many hands make light work”!! This is definitely the case in terms of this group. Master Chef Finals – This week for the year 5&6’s saw 3 teams compete making Omlettes.Well done to Zac Browne Hale, Haruka Seino and Neve Roe. Tremendous organisation as school councillors, adding a wonderful dimension to the lunchtime. Junior Netball – This year we have had 2 netball teams compete in the year 1&2 competition. A big CONGRATULATIONS to the Wainui Stars year 2 team. They did not lose a game all season and have won the competition. During the competition round they scored 52 goals and had 5 goals scored against them. They will receive medals at prizegiving on the 23rd of September at Pinehurst School. Well done to Kelly Fairhust coach and manager. All those early morning training sessions have made the difference. Auditions year 5-8 (Takahe and Tui Teams) for the show “Mindcraft the Musical” – This will be performed in term four, dates to be finalised . Mrs Blackburn is the director, she is passionate about producing quality productions so with the team of Mr Irvine, Miss Jenkins, Miss Goodyer and Miss Ross with Mrs Taylor and myself, we will have lots of fun, a lot of practising and creating this show. Winter Sports Assembly – Friday 22nd September at start time 1.30 pm. This will be followed by an afternoon tea in the staffroom. Well done to all coaches and managers for your time and effort into ensuring all the children who want to play hockey and netball do. Girls sport is alive and well through schools especially at Wainui School. I state girls as this is the sole access for girls to play in the competitive competitions. The boys winter sports are catered for by outside clubs. Mr Irvine will have contacted you or be in contact to ensure your team is represented and acknowledged. Please contact Mr Irvine if you need further information. 2018 is coming!! – Please let us know if you have young siblings, neighbours etc to enrol for next year. I am now planning the classes and teachers for 2018. It really helps to know as soon as we can who will be attending in 2018 and who will not be. I also need to ensure we continue to have the highest quality teaching staff we can employ. As you may be aware there is a shortage of teaching staff in Auckland. All rolls in the area are growing, so careful planning is needed even more now! 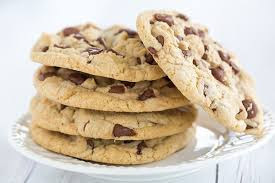 Bake Sale – As part of the year 7/8 camp fundraising, there will be a bake sale from Monday 18th to Thursday 21st September at morning tea outside the year 7/8 classes. All baking will cost 50cents – $1.00. Please come and buy some yummy baking! 1. A parent, or family member, picks the child up from school, and the parent hasn’t informed the school office that the child is not on the bus. 2. A child’s parent has organised for the child to go home with another family, but the parent hasn’t informed the office that the child is not on the bus. 3. The child tells the bus duty teacher that they are, or are not, on the bus because their parent told them, but the parent hasn’t informed the office that they are, or are not, on the bus. When situations like this occur, children are often searched for, or the office is asked to contact the parent to confirm what is happening. All of this takes time, particularly when trying to contact parents by cellphone in poor coverage areas, which means that the bus is delayed in leaving the school. This means that parents are at bus stops, waiting to collect their children from the bus, not knowing it has been delayed. The school then has to field queries as to why the bus was late. All of this can be avoided by letting the office know, by 2pm, if your child is going to be on or off the bus, especially when it is a change to their regular bus routine. You can call the school on 09-420 5127, or on our new school mobile 027 525 1848 or email exo@wainui.school.nz, to update the bus list. If you have any questions regarding buses, please let us know. School Mobile – A reminder that we have a new mobile phone that is able to be used by you all to contact the office and do quick changes of pick ups, bus changes etc. Please remember all changes to routines and letting us know must still be made in good time though e.g after school pick up change / or buses by 2.00pm. The number is 027 525 1848. FOWS Meeting – Thank you to everyone who came along last Wednesday night. We will be having a short catch up meeting on Wednesday 27th September in the Staffroom at 7pm to discuss Ag Day. Please come along, all are welcome. Wainui Blue Yr5/6 Girls – Finished 3rd in their grade, congratulations! Wainui Yr 7/8 vs Orewa – 0 -2 POD: Haruka Seino. Wainui Yr 7/8 vs Rosmini – 8 – 1 POD: Everyone. Congratulations to the Year 7&8 6 a-side hockey team who ended up 3rd overall in the competition. A big thank you to the parents who transported, supported and got students to the early morning practices! For Sale – Summer is coming, are you ready!!! At the last assembly, the following students received certificates for “Resilience”. Kauri: Aiden Grieve, Hennie van Heerden. Writing: Keane Rechsteiner. Kahikatea: Caroline Gilpin, Bojan Paladin. Writing: Briar-Rose Stevenson. Miro: Evie Alexander, Daniel Phillips. Writing: Hannah Garside. Rimu: Ashton Fairhurst, Jade Manarangi-Clough. Writing: Daniel Manning. Matai: Katie McLiver. Writing: Dillon Ranby. Totara: Connor Lloyd-Read, Charlotte Robinson. Writing: Yudai Seino. Nikau: Logan McDermid-Venter, Sam Shen. Writing: Xela Odedra. Kowhai: Johnny Blais-Smith, Rylan Latham. Writing: Noah Moss. Kohekohe: Tamati Bayer, George Clayton. Writing: Caitlin Bailey. Pukatea: Neva Atkinson, Alizay Clifford. Writing: Harry Browne Hale. Karaka: Alice Jones, Carlow Murtagh. 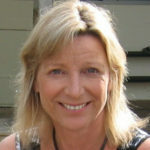 Writing: Eva Sparkes. Puriri: Tripp Glasgow, Summer Starr. Writing: Liam Miners. Our amazing Hellyer Cup Winners were Reilly Irvine (Kahikatea) and Neve Roe (Kauri). Friday 15th September – Kiwi Assembly – 2pm. Tuesday 19th September – BOT Meeting – 6.30pm. Wednesday 20th September – Yr 1/2 Zoo Trip. Friday 22nd September – Winter Sports Assembly – 1.30pm. 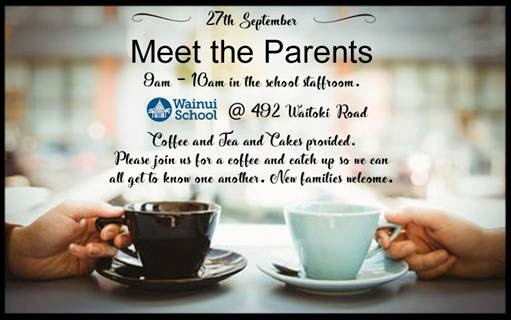 Wednesday 27th September – Meet the Parents Morning Tea – 9am – 10am – Staffroom. 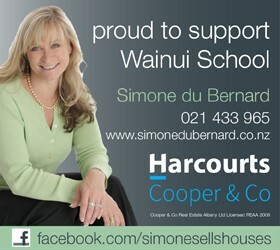 Wednesday 27th September – Friends of Wainui School Meeting – 7pm. Friday 29th September -The Pukeko and Kiwi Teams Marvellous Musical Medley – 2pm. Friday 29th September – Last day of Term 3. If your child loves drawing and painting they’ll love this one-day workshop with artist Eion Bryant. With step-by-step instruction they will draw then create a vibrant acrylic painting learning tips and techniques along the way. Fun and focused! Friday October 6th, 10.00am – 3.00pm at Kumeu Arts Centre. How to start a veggie or flower bed from scratch, deal with clay, raise seeds and cuttings, shape your gardens, you will leave sorted! Sunday 15th October 9.30-3.30, 93 Bayer Rd, Upper Waiwera. Cost: $90.00 or two people for $170.00 (includes great coffee, home baking, snacks and salads from the garden). Sunday 29th October 9.30-3.30, Waitoki Hall. Cost: $80.00 or two people for $150.00 (includes great coffee and home baking). BYO machine. Silverdale Tennis Club – Junior coaching and interclub for ages 5-17 – The 2018 season starts in term 4, we invite all past and new members to join us at one of our registration days. Come along and meet our coaches, have a hit of tennis and find out more about the upcoming season. Thursday 7 Sept 4-5.30 and Saturday 16 Sept 9-11.